Well they called it an App. I call it a very expensive mobile site, because that was essentially all it was. 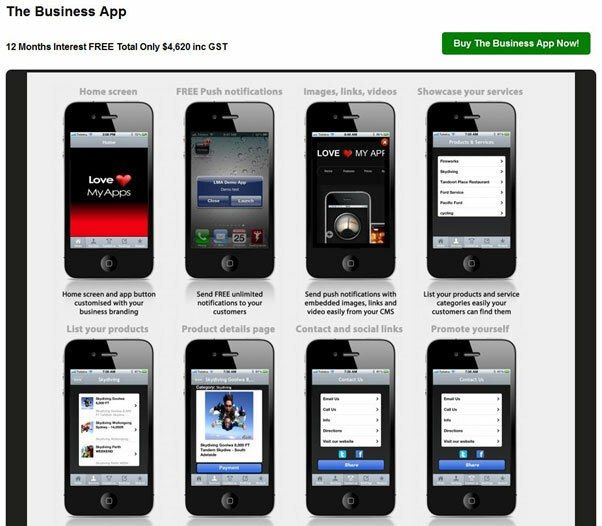 I did a bit of digging and the App was essentially a ‘white label app’ .What is a white label app? you ask, well it is basically a template App that you drop you basic information into to ‘customise’ the app for your business or use. Here a company in Brisbane that offers the type of service our client used. Most of the web design work we are doing at Krafthaus is responsive web design. The reason being the continual emergence of new screen dimensions, whether it is the new iPhone 5, new android tablets, or super cheap, super wide LCD screens. For those who can’t afford to go for full responsive, we have very attractive packages for mobile sites which (at a fraction of the cost of the white label Apps) allow consumers to access all the information in those “Apps” and more. This is not to say we aren’t fans or Apps, or can’t build them, but the simple fact is that most businesses do not need an App for the types of products and services they have, and those that do can quite often manage with a very good mobile site. It also overlooks the growing emergence of Android, and the soon to be launched Windows 8, which would be yet another platform an Apple App would be redundant on.